Life's Tips and Tricks: Good News For Book Lovers!! Are you a book worm? Then this is a good news for you! 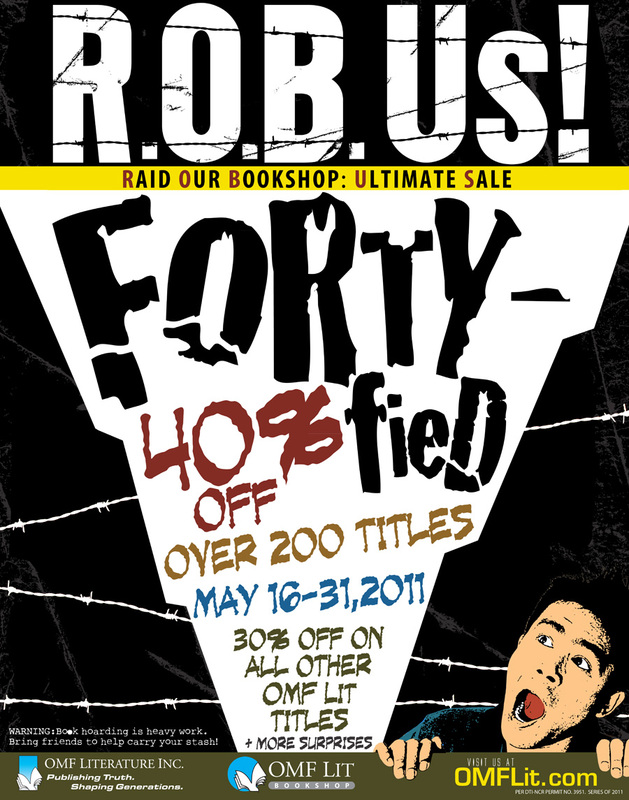 OMF LIT is having a grand book sale from May 16 to 31. They're giving 40% OFF on most OMF LIT titles. I think they have a wide array of books on sale covering almost all topics of your interest. If you re really into reading quality books, then 40% OFF the price is such a big savings. OMF Literature Inc. is well known in the Philippines when it comes to inspirational books. They offer a wide selection of local and imported titles. I had browsed their list and I find myself particularly interested in getting my own copies of these two books: "Heroes" by Harold Sala and "Hope Away From Home" by Evelyn Miranda-Feliciano. Well...as for the first book, I already read one book from the same author, "Train Up A Child" and it's really cool! It's simple and basic and easy to understand. As for the second one, well...I haven't had the chance to read any book from Evelyn Miranda-Feliciano but I got particularly interested with this book the moment I saw the title and found out from the description of the book that this is a book that every OFW must have. This offers practical advises on various aspects of your life as an OFW, so...since I am an OFW myself, I believe that this book is worth reading! I would definitely recommend this one to every OFW's out there!! What are you waiting for? Grab your copies now from their wide selection of local and imported titles.